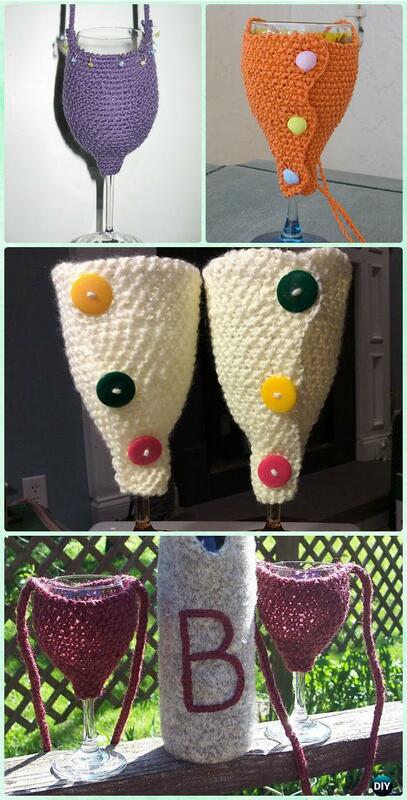 A Collection of Crochet Wine Glass Lanyard Holder Free Patterns: Crochet Wine Glass Cozy, Wine Glass Lanyard, Wine Glass Necklace Patterns. 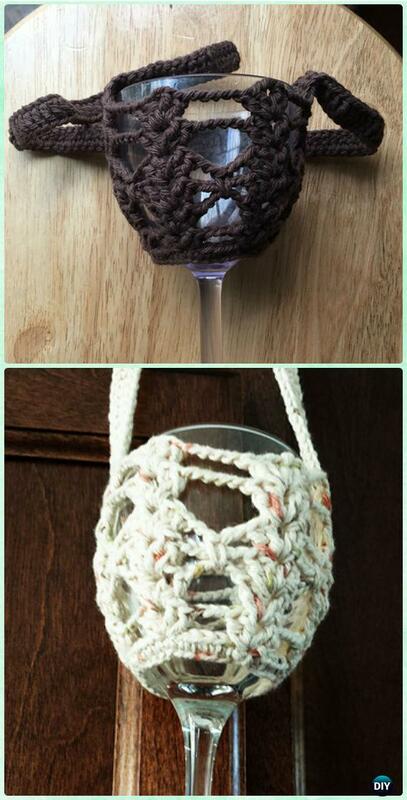 Crochet designers are crazy and turn crochet ‘hilarious’ thinking into practical trend. 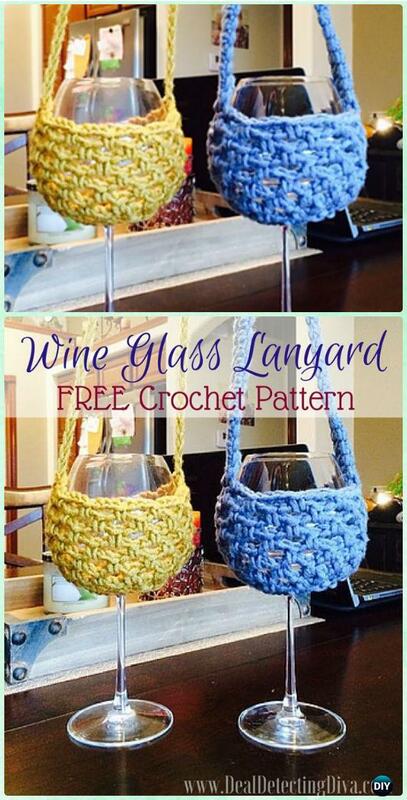 Our Crochet Channel stays in and share the idea to crochet wine glass lanyard holders for all the wine lovers out there. 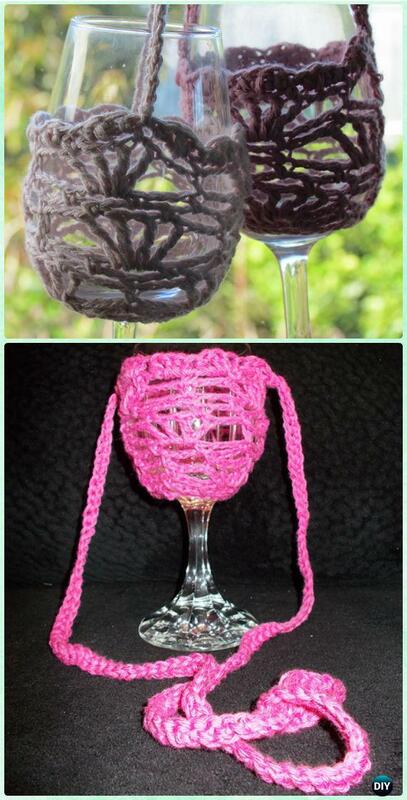 We only need an introduction on how to crochet around the bottom of wine glass, and crochet freely using all different stitches on all drinking ware: wine glasses, champions flutes, drinking glass and beer mugs. Suggest to use acrylic yarn or metallic yarn and tight the crochet tension, scroll down and start hook your own and make your party more fun this year. 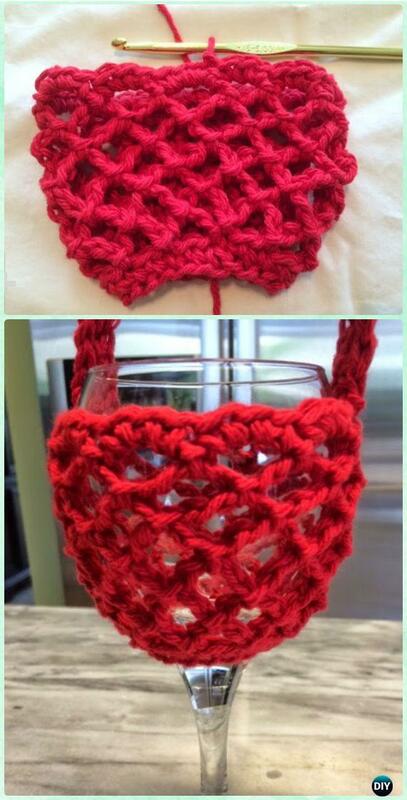 This is a knit pattern, but good to crochet after with sc or hdc.